Denim will never go out of style. It’s been an essential in American wardrobe for decades. Once a casual staple, it has transcended across all levels of fashion. 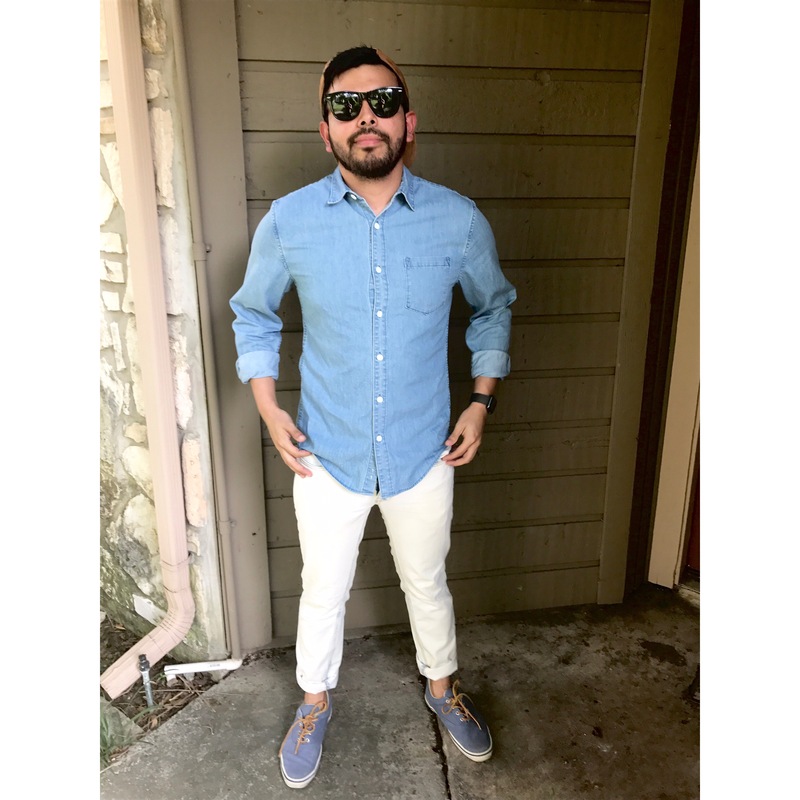 From streetwear to high-fashion, you will find denim just about anywhere, including my wardrobe. As my personal style has become more streetwear inspired, I have embraced denim in my everyday looks. There was a time were I strayed away from it and stuck to chinos and khakis, but I have obviously snapped out of that. So much so that I now dare to wear denim on denim! Now with the hotter days of spring and summer among us, it can be hard to imagine wearing denim jeans and shirts. Trust me when I say I reach for my thinnest tee and pray that I don’t sweat through it. However, there are times when a tee might not be the best thing to wear for the occasion. 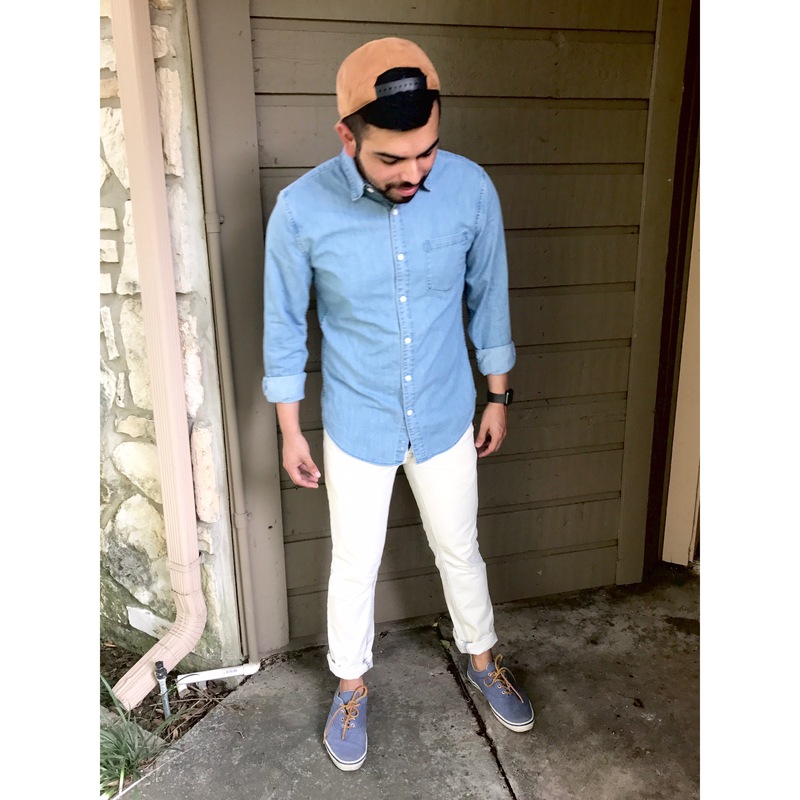 My featured look is one way to rock that denim on denim look for spring. My denim button up is one of the spring pieces from DKNY that I needed in my wardrobe. To help balance style and comfort, I rolled up my sleeves so that my arms could breathe. Another way to wear this look would be over your favorite tee. 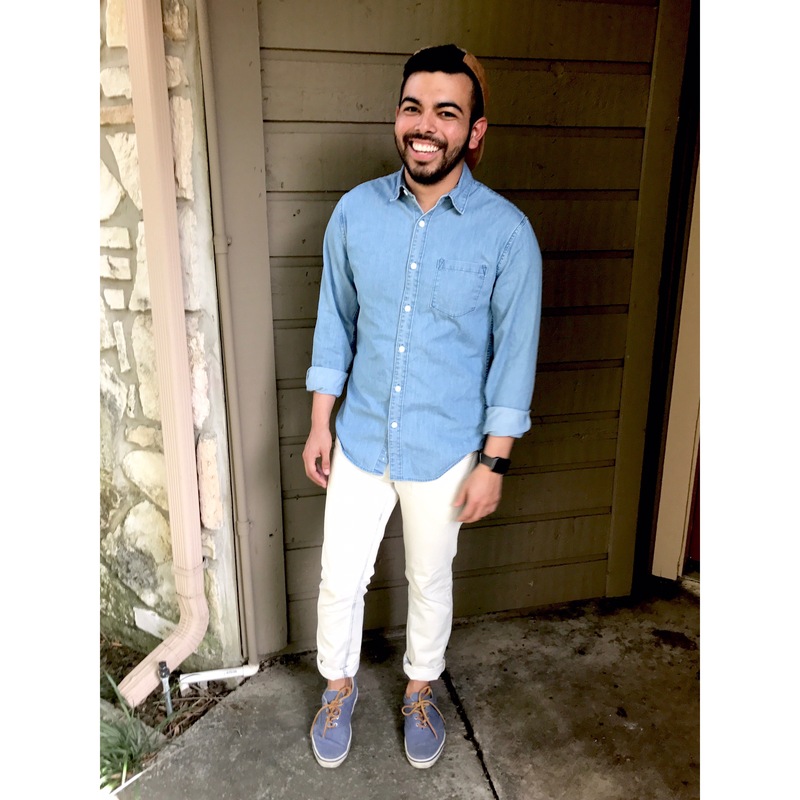 My denim shirt only cost about $45, but you can find a similar shirt for a lower price at H&M. 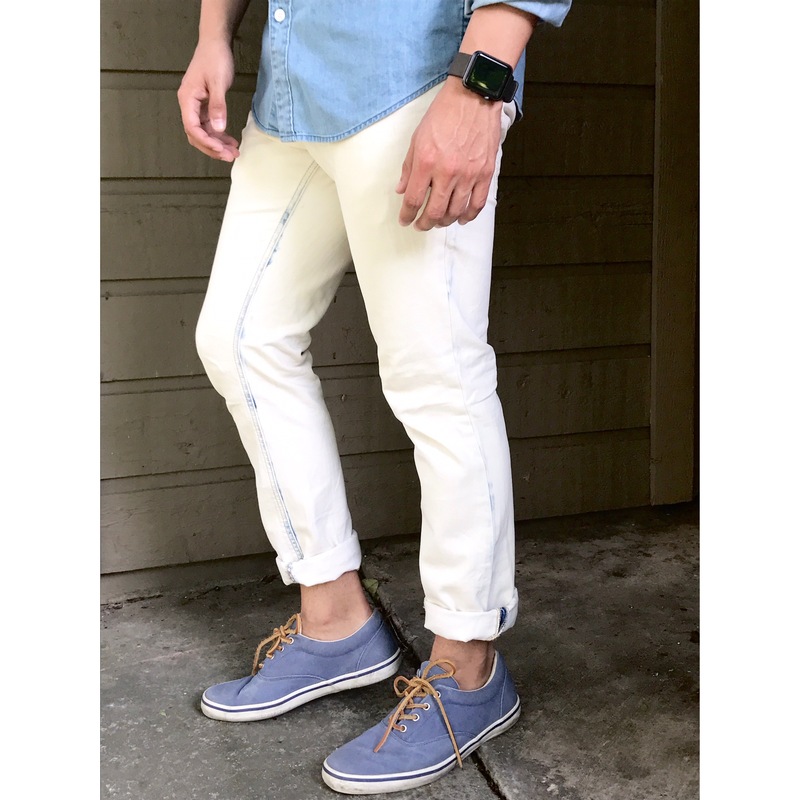 Instead of going with a different shade of blue for my denim jeans, I went with a pair of rolled up, bleached DKNY jeans I purchased a few years ago. Now a darker shade of blue would’ve been acceptable, but I wanted my shirt to stand out. Just be sure your denim on denim isn’t too matchy, or you’ll end up looking like Britney and Justin at the 2001 American Music Awards. I did however end up adding some more blue with my Cole Haan canvas shoes. They are a pair I don’t normally wear, because they are from my preppy era, but they went with the outfit. I finished off my look with a staple accessory and a sunny accessory. My tan suede cap was a must, not only because it’s a signature of mine, but the color complimented the look. And on the sunny day I experienced this past weekend, I needed my Ray Ban Original Wayfarers to block out the rays. If you’re wanting to try the denim on denim look for spring, consider something similar to my look. Just don’t forget to wear different shades or colors of denim, so that the denim won’t be overbearing!